Gluten free desserts are not as difficult as you may think. In this class you’ll learn some simple, yummy fruit desserts, a beyond delicious vegan chocolate mousse, and some easy to make cookies and cakes. Look and learn! 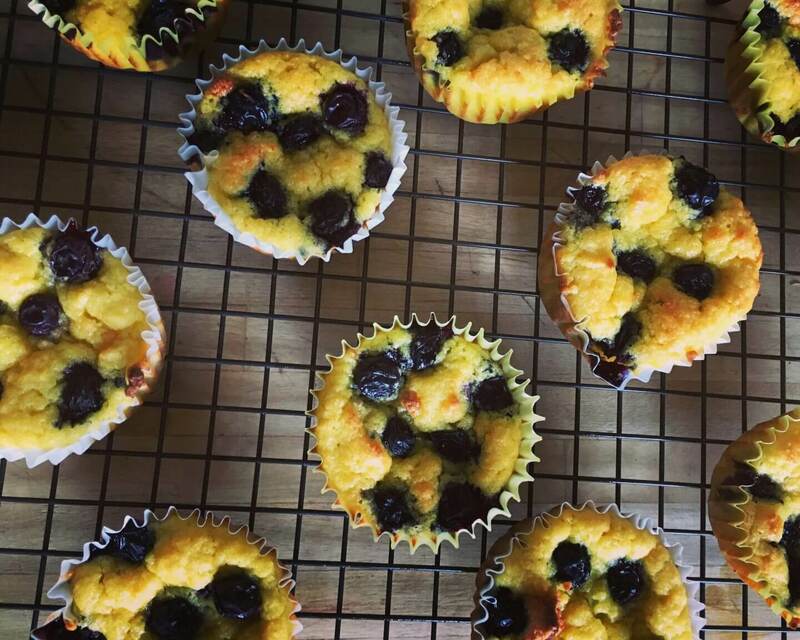 Who knew crunchy, sweet gluten-free fresh corn on the cob could turn into these light, custardy dairy-free Mini Blueberry Buckle Cakes? Although sweet tasting, these decadent, rich little cakes are low in added sugar, thanks to the sweetness of the corn, making them perfect to satisfy the craving for sweets that so often strikes cancer patients going through chemotherapy. Eat them as a light dessert, served warm with a dollop of plain Greek yogurt. Enjoy! These deliciously addictive gluten-free cookies come together with just 3 ingredients: almonds sugar and whipped egg whites. Just make sure not to overcook them, they will be very pale and shouldn’t brown except for a little underneath. Look and learn. For full recipe click here. Chocolate and orange are one of my favorite combinations. This great, gluten-free dairy-free pudding is always a huge hit when we make it at our classes. Not only is it simple to put together, it can safely be served to professed tofu haters; I swear they will never realize they’re eating it. Don’t skimp on the chocolate. Use the very best dark bittersweet or semisweet cooking chocolate you can find, such as Caillebaut or Valrhona. It’s well worth it. Look and learn!